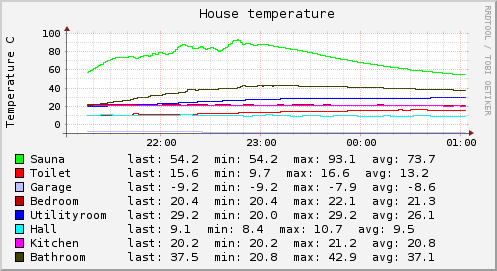 Lately I have been hacking on the home automation project which should at some point tie together my current ad-hoc house and greenhouse control systems. One part of that system will be energy usage optimization with wireless smartplugs, which uses Plugwise smartplugs and the python-plugwise library that I wrote. The main (and more or less the only :-)) appliance that I can make energy savings on using automation is the electric boiler. It’s an old 40-50l heater that hasn’t been cleaned for at least 3 years so it probably contains a lot of limescale and sludge which causes it to use far more power that it should. Hopefully I will get around to cleaning it soon. I haven’t implemented any fancy logic for controlling it yet and instead I just use a simple crontab that switches the boiler on for 3 hours total each day – somewhere around when we leave for work and again before we get back home. So assuming this difference holds true for larger periods of time I will get energy savings of ~4kWh per day. 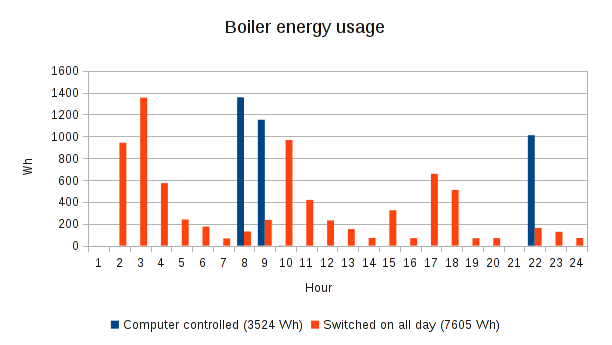 If I only use this control method on working days it will give me somewhere around 80kWh savings per month. Currently I pay 0.1026 € per kWh so I should save somewhere around 8 € per month, and 96 € per year on this appliance. So these smartplugs should pay for themselves in about 1.5 years. Currently Estonia has the cheapest price of electricity in Europe which can only go up as the energy market opens up and hidden subsidities are removed so the savings will probably be even more substantial in the not so distant future. 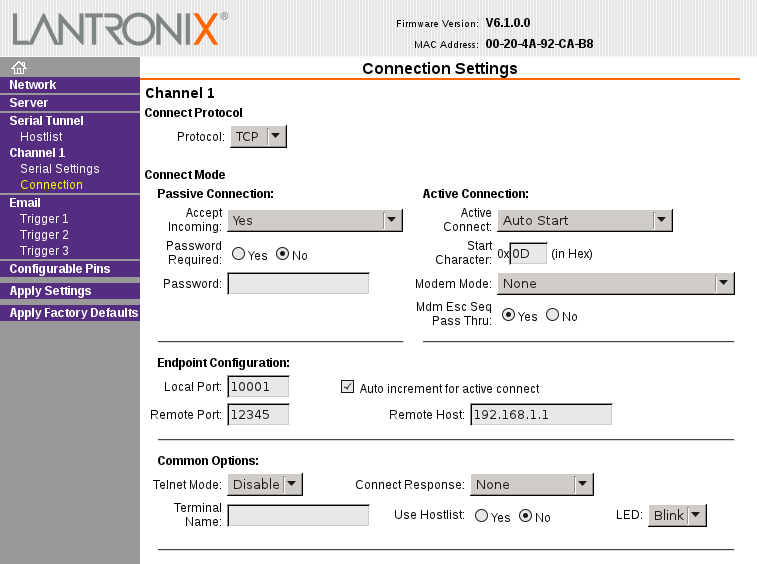 This entry was posted in hacks and tagged domotics, energy on March 27, 2011 by hadara. 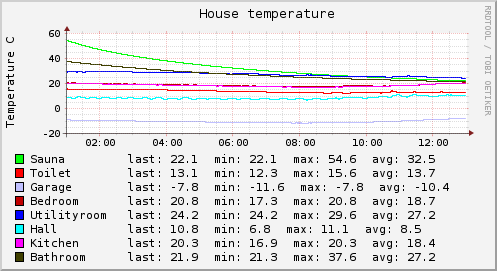 Lately I have spent some time with a friend on building a temperature sensor network for my house. 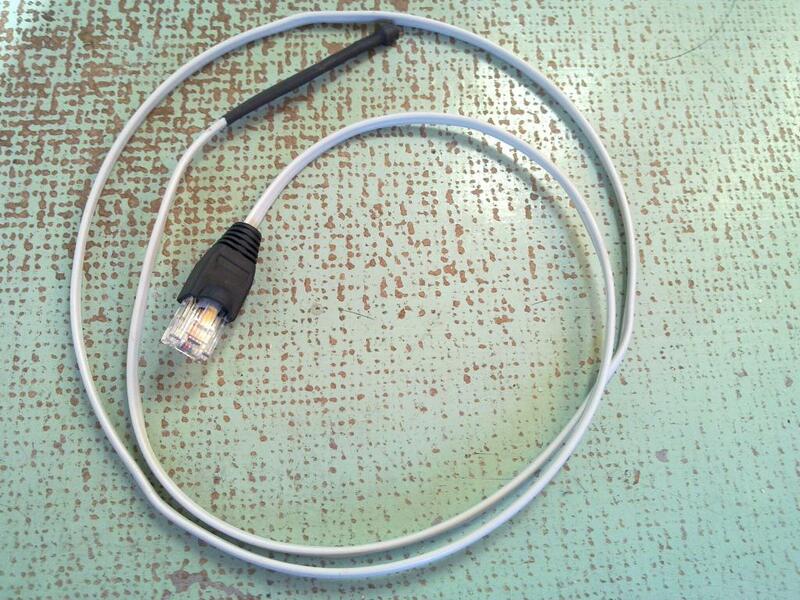 We used CAT5 cables for the wiring and DS18B20+ digital temperature sensors (~2.4€ a piece). 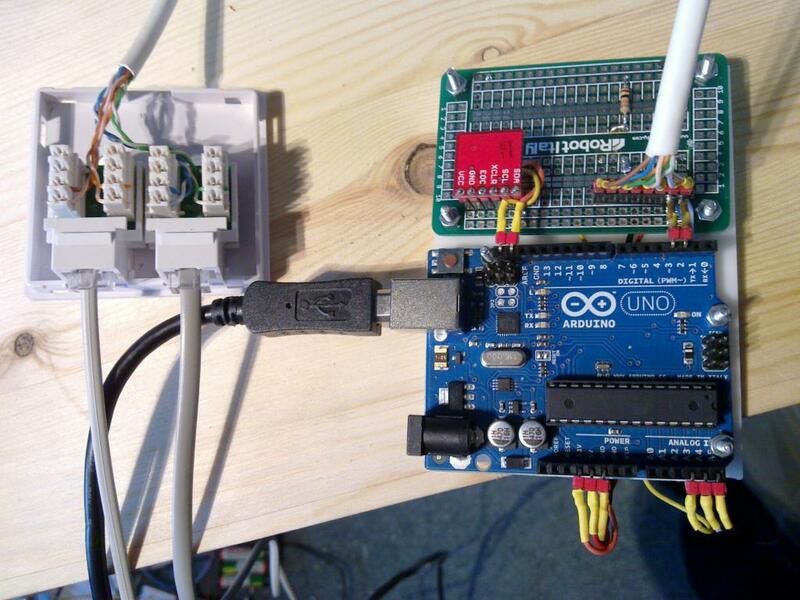 The network runs in two branches and is powered directly from the serial port so the sensors run on the phantom power. 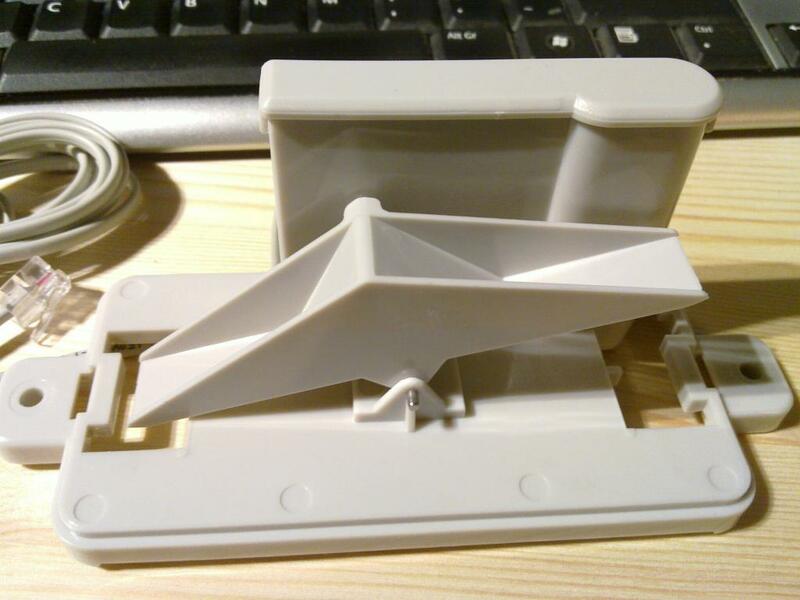 The serial port connector is based on a schematic from this article (in Estonian). 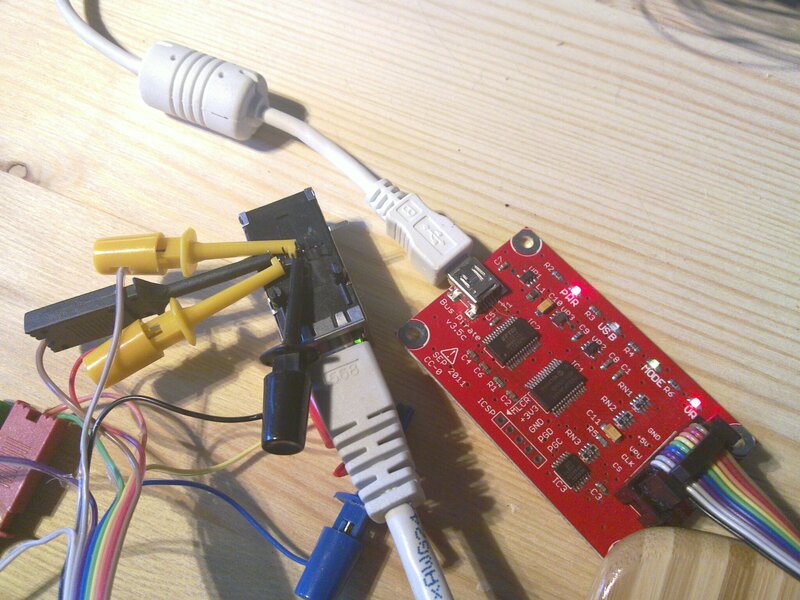 It’s actually connected to a serial-to-USB converter which is plugged into the powered USB hub which in turn is plugged into the Beagleboard. 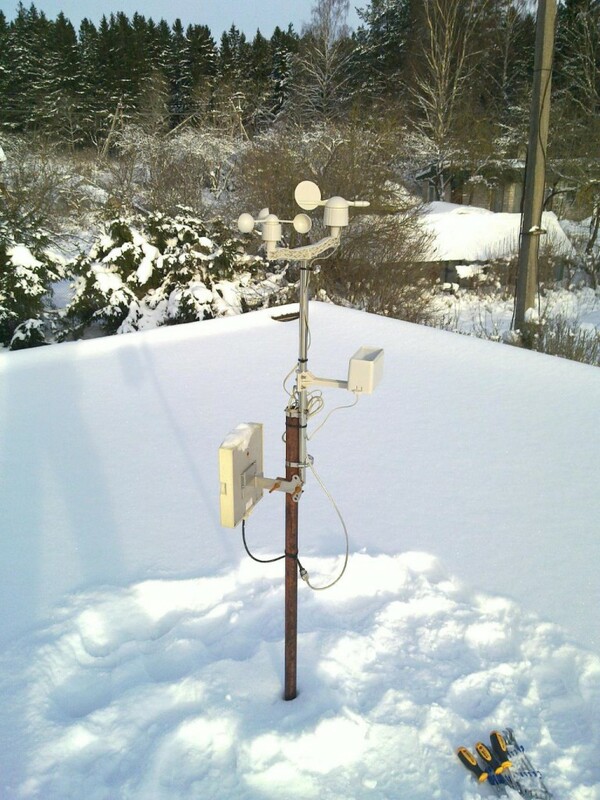 I use the digitemp utility to read the sensors. Since we used CAT5 cables there are still 6 wires left that can be used if we need to transmit external power for higher power actuators and/or sensors in the future. The connection points to the one-wire network are done with RJ45 surface wall mount boxes. Live data is available @ pachube. 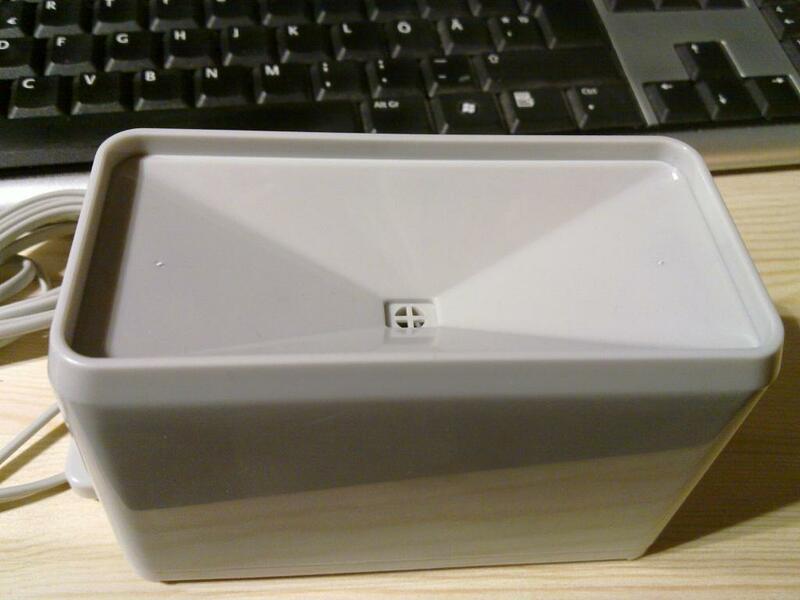 This entry was posted in programming and tagged domotics, programming on February 20, 2011 by hadara. I have lately spent considerable amount of time on reading various home automation related stuff from the energy efficiency front. With a goal of finding some solution that would allow me to measure and control electricity usage down to specific device. The idea being that in general people have found ways to reduce their energy consumption by ~20% if they see where it’s actually going. One interesting case study is here which shows that almost 1/4 of the energy in the measured office building is used up by the printers and coffee&vending machines account for almost half of the total energy usage. In my case I believe I already have a pretty good idea what to optimize and I just need something cheap and open enough to do it. 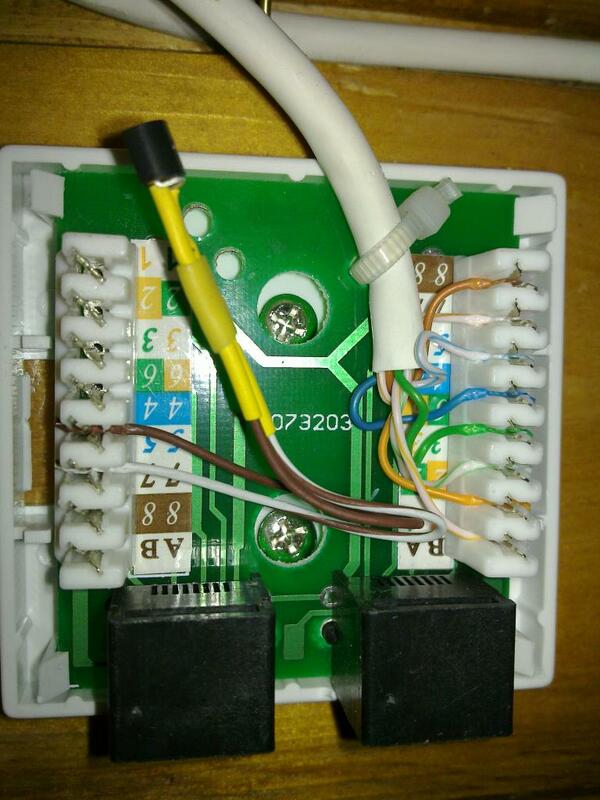 I concentrated ZigBee smartplug solutions since it’s just really convenient to connect it anywhere without having to deal with the wiring and I already have some ZigBee stuff around for the greenhouse controller. Digi’s XBee Smart Plug. It’s currently priced at 84$ and seems rather developer friendly since simple Python examples are available. From my perspective the showstopper is that they only have US 110V version of this device available and I happen to live in europe where we use 220V. Plogg. Currently priced at 97£ for their older version which as far as I can gather has proprietary interface and 135£ for the ZigBee Smart Energy profile compliant version, which hopefully means the interface is standardized. In addition I would probably need ZigBee USB dongle with Ember chip (34£) since as far as I understand from couple of google-translated form posts it wouldn’t probably work with my current XBee nodes. Add shipping to that and you get ~170£ which is a large amount of money for measuring and controlling just a single socket. Another thing that bothers me about this solution is that they don’t seem to be as open as Digi’s solution is – their FAQs talk about using their own commercial SDK for communication which is Windows only and costs you 125£ which is far cry from couple of lines of Python that it should be. On the bright side several people seem to have tapped the SDK communications and have simple scripts available that seem to work. 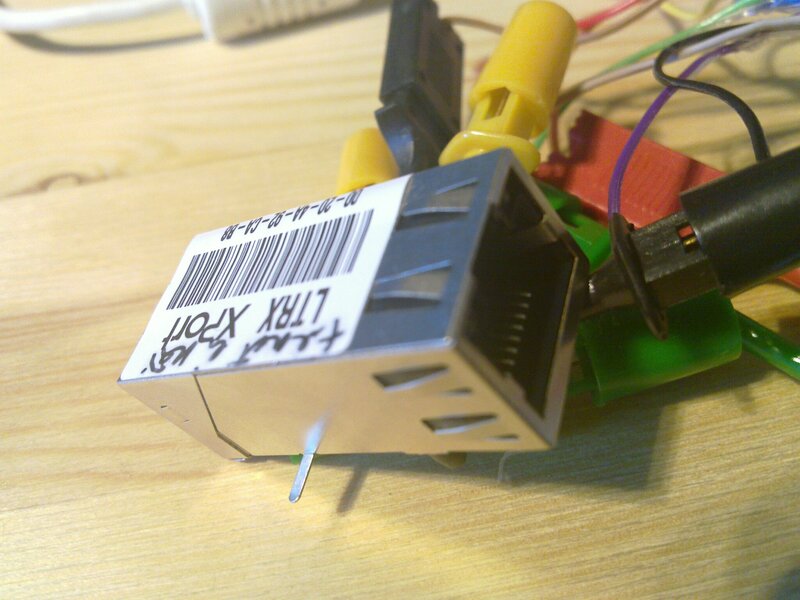 ePlug by 4-Noks. Seems nice but I couldn’t find any information on the pricing. Usually this means either you don’t want to know or we aren’t actually in production yet. Then there’s the more fundamental question if controlling your devices should be done over such wireless protocols at all since it makes attacking your network that much simpler. The low power aspect doesn’t really help much against that since similarly to Bluetooth long-range attacks it can easily be worked around with well directed powerful antenna. I haven’t really looked well enough at ZigBee security aspects and neither am I security expert, but judging by how far more evolved WiFi security has been taken down several times I wouldn’t be hopeful that ZigBee security stands for long without major holes. Some attack tools are already available and the referenced presentation describes several awfully simple attacks (even simple replay attack is effective against several products!). So in general I think I will use ZigBee for things that I don’t care about and for which randomly turning on and off doesn’t have any bad consequences. For critical things that can burn out or burn down the house if kept in too long I will use well shielded cable or no computer control at all. This entry was posted in Uncategorized and tagged domotics on December 30, 2010 by hadara.